Energize is our stimulating Durban Poison based strain. Known for its sweet smell and flavor notes of pine and sage, this strain is complimented by an invigorating Terpinolene forward terpene blend. The perfect way to get you through a long day. 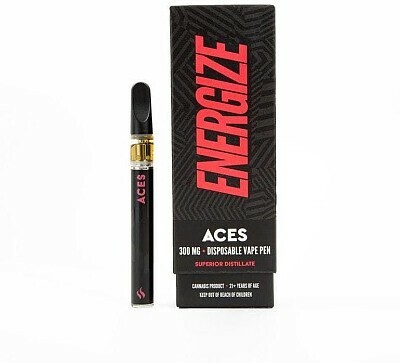 Each Aces vaporizing pen is filled with carefully crafted cannabis distillate, an exceptional tasting, smooth drawing product resulting from a proprietary extract and filtration method.